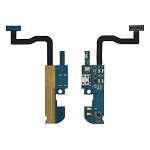 i need some iphone parts? have you the iphone 4/ 4s lcd in white and black? and how long is are the shipping? Yes we have white and black. ship to usa takes 9 days. Thanks and please place order direct you will satisfy our product.